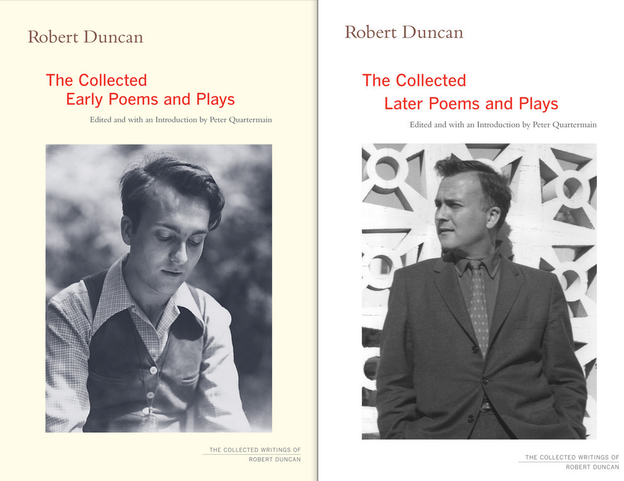 The two volumes of Robert Duncan’s Collected Early Poems and Plays and Collected Later Poems and Plays (edited by Peter Quartermain), which appeared from the University of California Press in 2013 and 2014, make all of Duncan’s published poetry at last readily available. Along with The H.D. Book (edited by Michael Boughn and Victor Coleman) and the Collected Essays and Other Prose (edited by James Maynard), which appeared in 2011 and 2014 from the same press, we now have available all of the poetry and non-critical prose Duncan published during his lifetime, as well as the great bulk of his critical work.However, the two volumes of Poetry and Plays introduced a number of errors into Duncan’s Greek; Robert Bringhurst published, in the Times Literary Supplement (October 2014), a brief essay on these errors, and has since then with the assistance of Peter Quartermain compiled a comprehensive list of corrections, along with commentary. 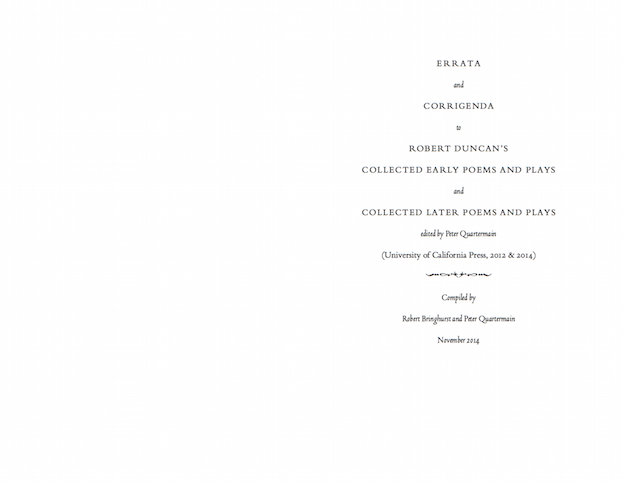 Readers of Jacket2 can download two different versions of this errata pamphlet. The first PDF, available here, will print on letter-size paper as a properly sequenced pamphlet which can then be folded down the middle and inserted in the books. 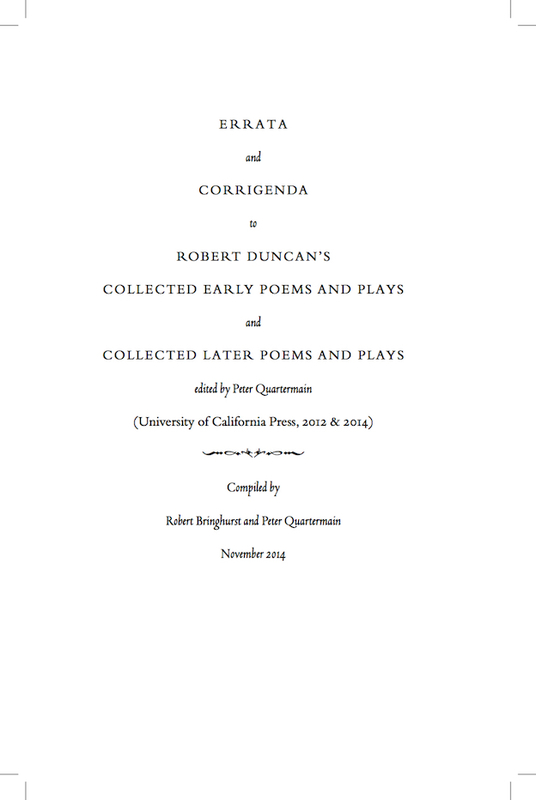 The second PDF, available here, will print as separate sheets rather than as a pamphlet. Note that in order to print correctly, either PDF needs to be downloaded first.